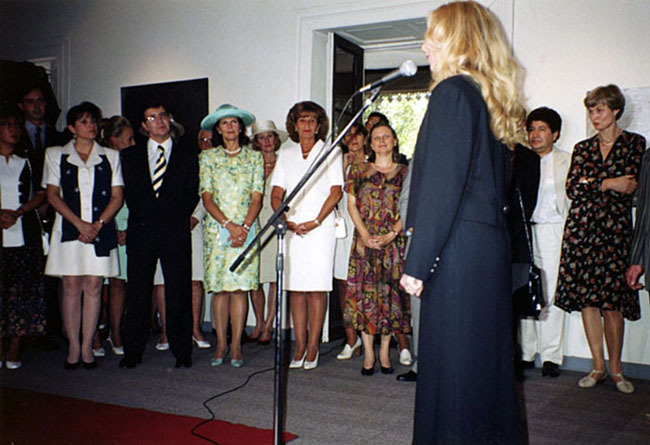 I am giving a speech at the opening ceremony of the exhibition ”Six painters from Sweden” at Centro Cultural Las Condes, Santiago de Chile (december 1996). In the audience: Her Majesty The Swedish Queen Silvia and President Frei’s wife Marta Larraechea. 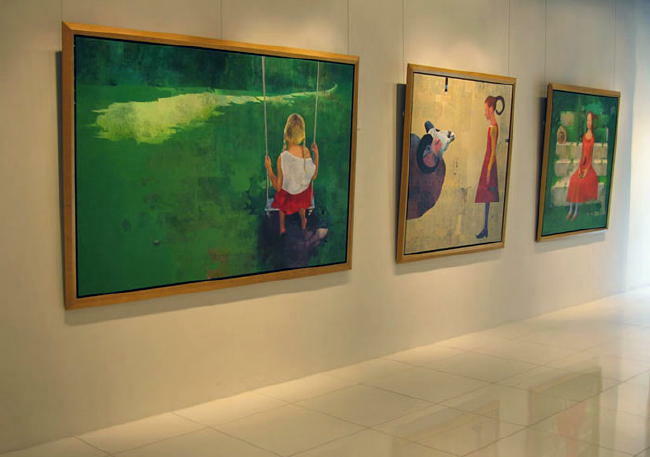 From "Six painters from Sweden" at Centro Cultural Las Condes, Santiago de Chile. 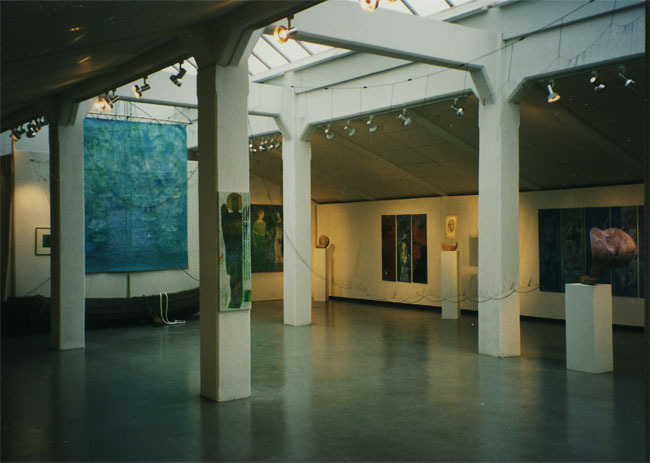 From Väsby Art Hall, Upplands Väsby 1997. 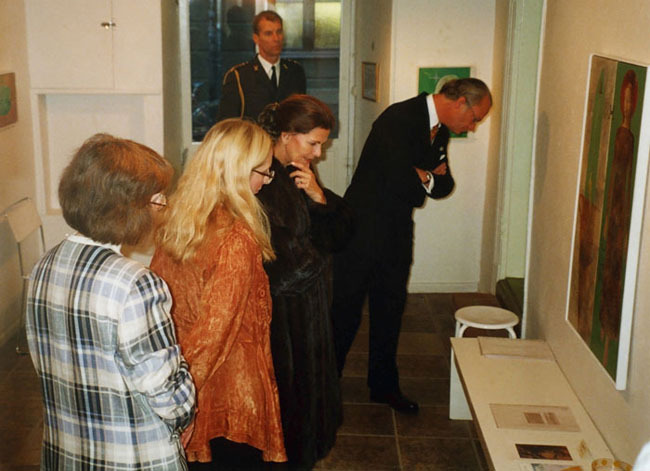 Their Majesties the King and Queen of Sweden visiting my exhibition at Galleri Baggen in Old Town, Stockholm 1998. 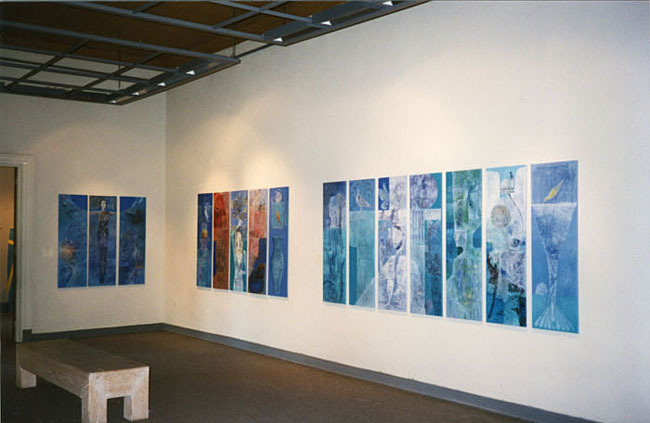 From an exhibition at Galleri Bacchus, Borås 2001. From Art Copenhagen, Denmark 2001. 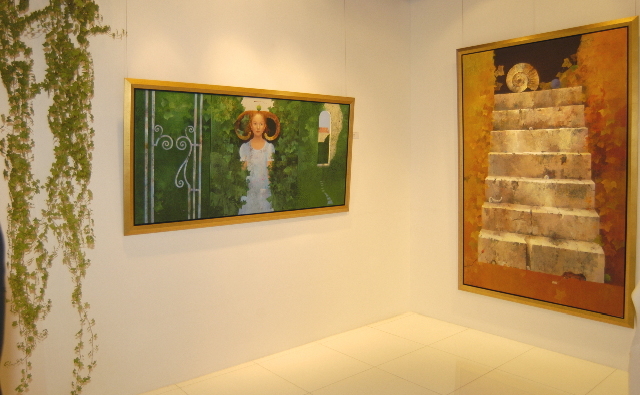 From the exhibition ”My Secret Garden” at Connoiseur Art Gallery in Hong Kong 2005. 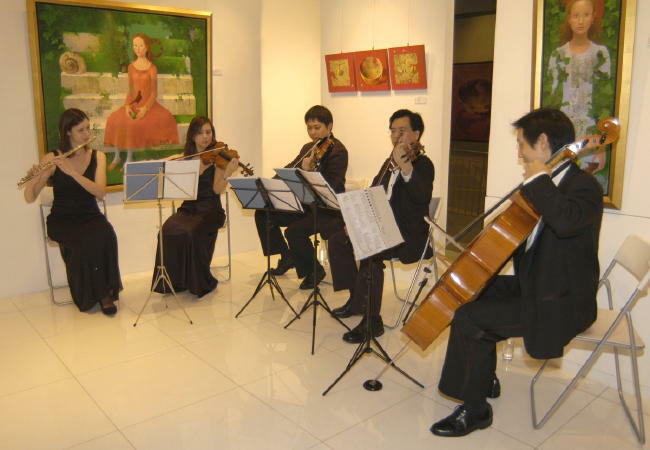 Live music at the opening night at Connoisseur Art gallery, Hong Kong. From ”My Secret Garden”, Hong Kong. More from ”My Secret Garden”, Hong Kong. 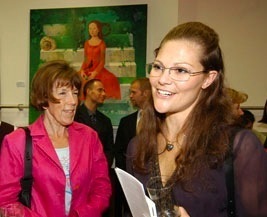 The Swedish Crownprincess Victoria at the Swedish Design Seminar in Hong Kong (2005). In the background my painting ”Princess of the garden”. 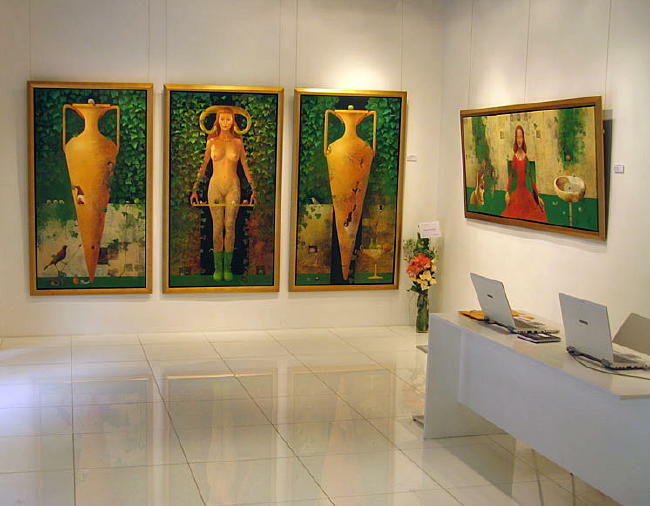 From an exhibition at Gallery Sjöhästen in Nyköping, Sweden 2007. 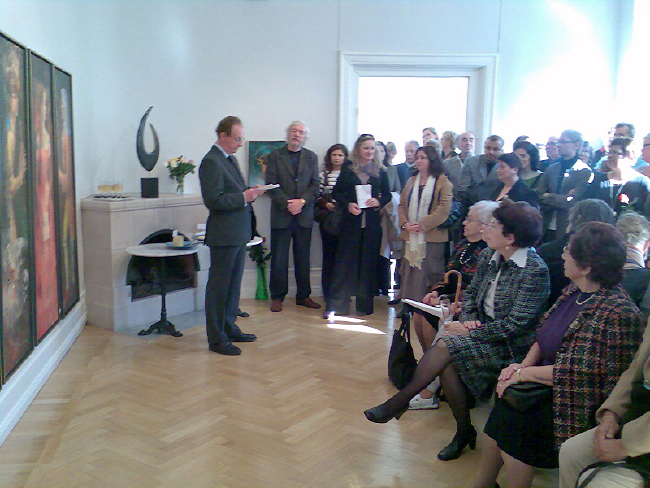 The county governor of Södermanland, Bo Könberg is giving the opening speech.